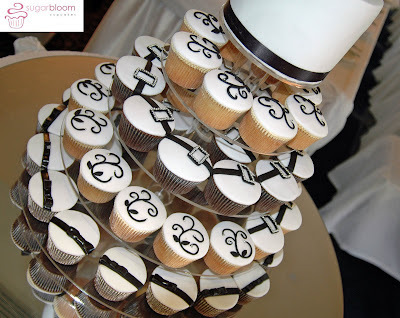 Here are a couple of pics from our latest wedding setup, gorgeous Black, White and Silver design in a choice of vanilla and chocolate fudge cupcakes. 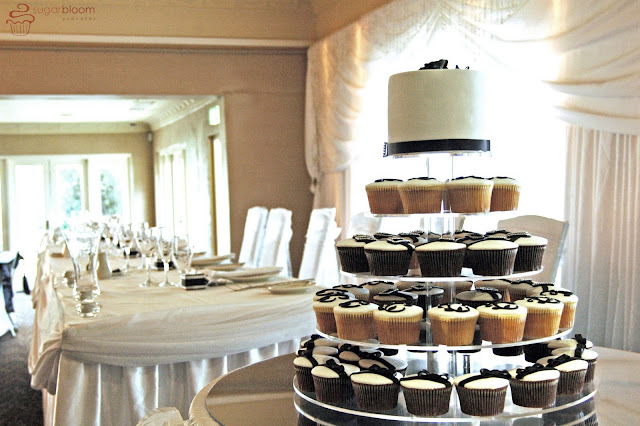 Venue Caversham House, Swan Valley. Beautiful! Very neat penmanship too. Thank you all for such kind comments! Those cakes look incredible. Listen, my aunt will be getting married next month and she's been trying to decide what kind of food and deserts serve that day, so I'd like to know if I can give her your blog site to contact you. 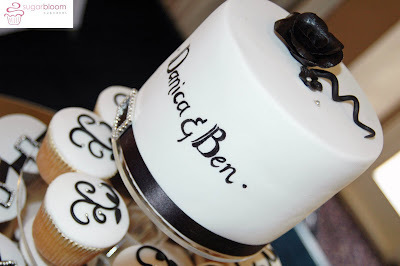 i luv how the retangular detail on the 3rd tier cupcakes looks like a belt.. original indeed :)!!! Its really an amazing dish.. Its a good idea to entertain the special guest in parties..